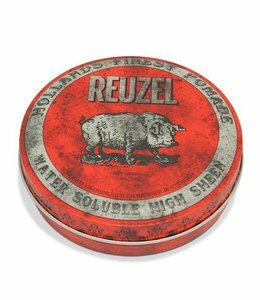 Reuzel Extreme Hold Matt Pomad Reuzel-grey, creates a messy look that remains visible all day long, a water-based Reuzel Pomade with Matte finish. Reuzel Pomade Gray is a pomade with one of the stronger lumps of Reuzel grey has a matte finish . It creates a messy look that stays visible all day long and is easy to re-style because the pomade has a flexible hold. The Lard Pomade Gray is a water-based pomade, making it easy to wash out of the hair. In addition, the hair is visibly more volume because of the cream and is suitable for all hair types. You do not need a lot of pomade. Apply a small amount of Reuzel Pomade Gray to dry hair, rub your hair with your fingers and style your hair to your liking.